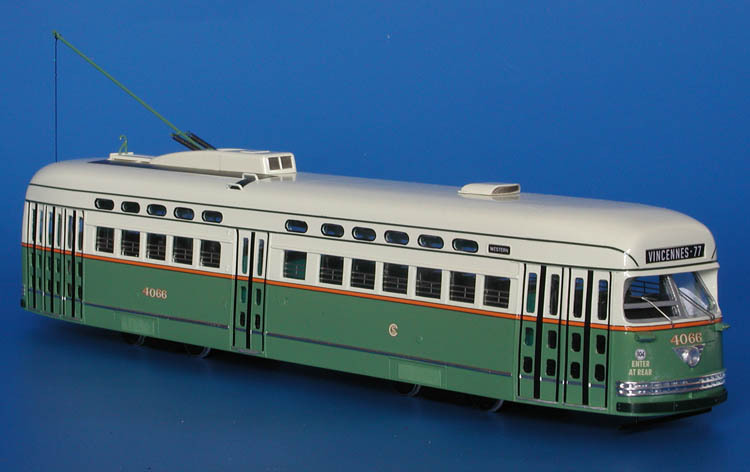 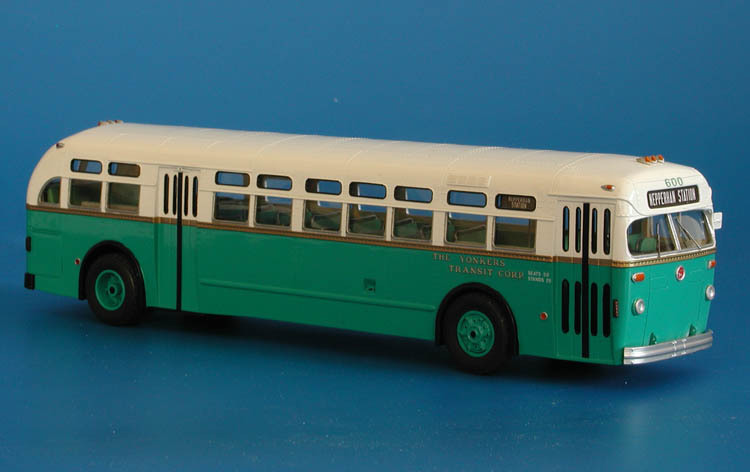 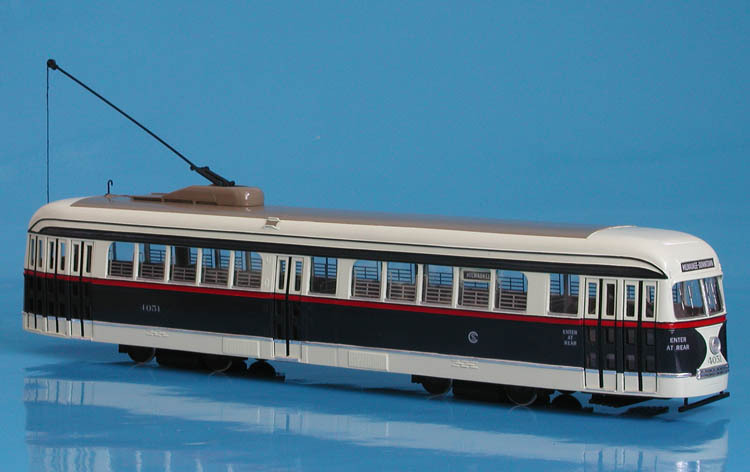 Model 1956/57 mack c-49 dt (chicago transit authority 7200-7299 series) - mint green/alpine white livery. 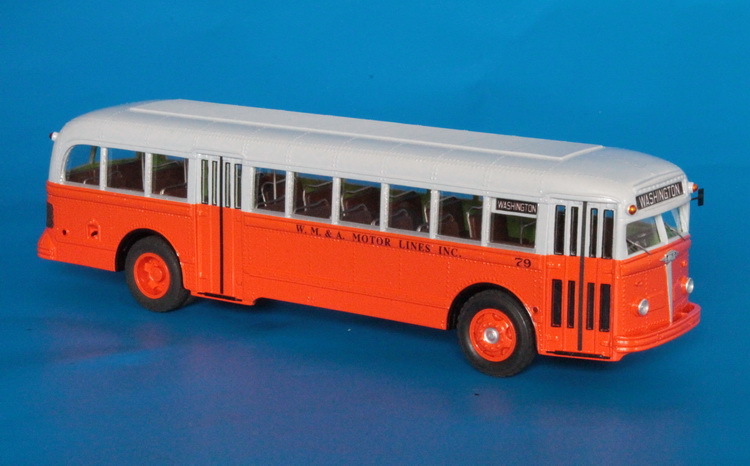 1956/57 Mack C-49 DT (Chicago Transit Authority 7200-7299 series) - Mint Green/Alpine White livery. 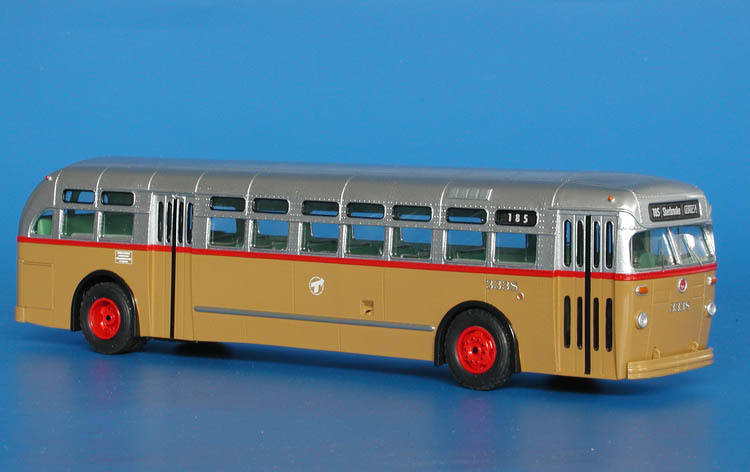 1937 Chicago Surface Lines PCC 4051 in experimental '1940 floor plan version (with rear entrance). 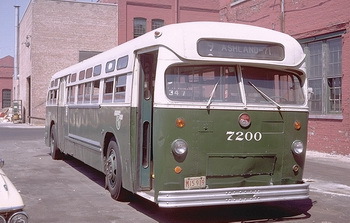 1947 White 798 (Washington Marlboro & Annapolis Motor Lines, Inc., 79-83 series). 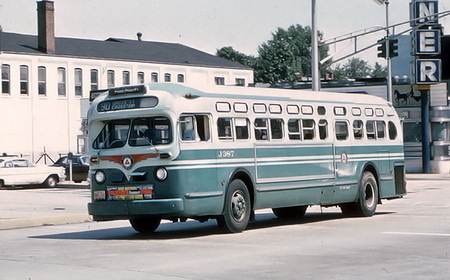 1955 GM TDH-4512 (Public Service Coordinated Transport J300-J420 series) - later 60s livery.